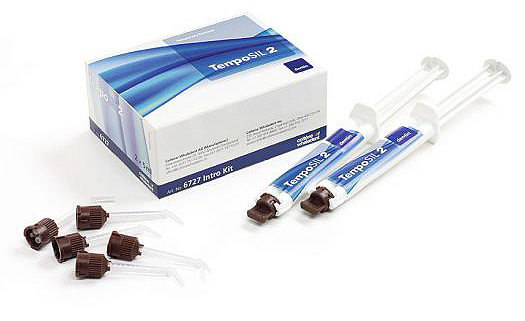 TempoSIL 2 is a unique addition-cured A-Silicone based zinc oxide temporary cement with a silane agent for optimal adhesion and superior marginal integrity. This formula produces a firm, yet elastic temporary cement that can be easily peeled off the tissue and out of the restoration. Clean ups are effortless! The convenient automix syringe with Oral Tip applicator provides a fast, instrument free application.